What's the new trend this season? Polka dots and stripes! Classic black and white is great for any occasion. 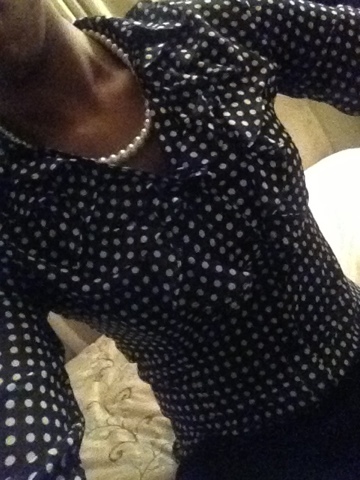 Today I wore my ruffled polka dot Tahari shirt with fashion jewelry, and I loved my chic look!